After finding myself in debt after backpacking, my purse strings have been tightened to the extreme - so I've compiled a small list on ways I've made extra money over the past few years selling clothes and other bits and bobs on various websites. 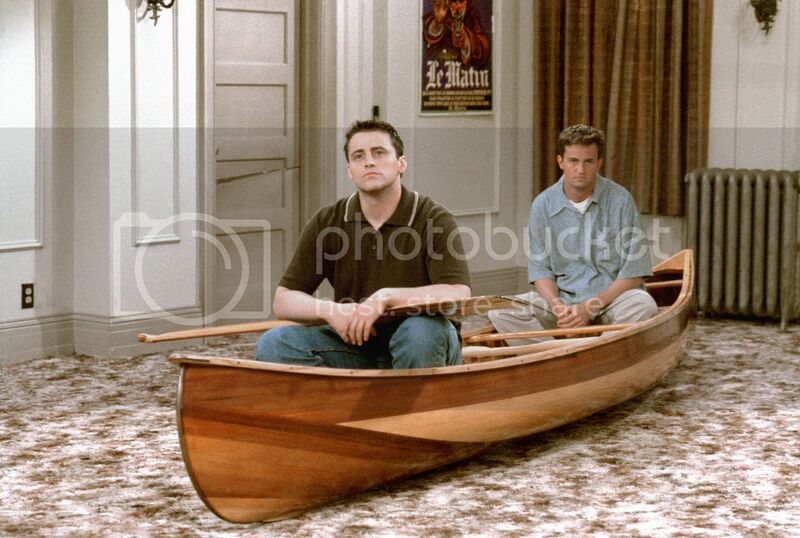 Remember on Friends when Chandler and Joey offered to give away the "entertainment centre" eyesore and got a canoe in return...? Cash For Clothes unlike similar companies gives you a price per individual item instead of weight. Just enter the brand and type of garment into the valuation engine, and get a price instantly - simple! Selling clothes on eBay is possibly the most popular way of selling unwanted clothes. 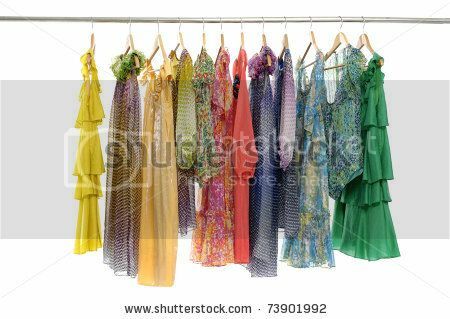 Presentation is key - iron your clothes, and either hang them up on a door or spread out on a plain background (laying a white sheet on the floor is perfect). Be sure to take photos in a well lit room, with natural lighting as this will give the best representation of what you are selling. If the photo is not looking 100% accurate (for example I find reds very hard to photograph and often find them coming out pink) note this on your listing, and offer more pictures on request. Also use common sense as to when is best to sell things. For example: dresses, and beachwear sell best in late Spring/early Summer, whereas coats, jackets and jumpers sell best in Autumn/Winter. However this is not an exact science, so if you aren't sure - it doesn't hurt to have a quick search for something similar as to what you are selling to see how they are doing. Selling blogs were my Mecca as a broke teenager. ThriftStoreUK on Livejournal was one of my daily haunts whether it was selling my unwanted clothes, or requesting items (This was when I was an 'electrokid', so I was probably requesting lots of neon clothes and accessories made out of vintage game cartridges. Trendy!). You can also search the tags by type of item or garment, brands and size. However with the blogging boom, hundreds of bloggers now have a selling blog - whether it be a part of their main blog or an off-set. Have a look through your favourite bloggers to see if they have a selling page, or simply Google (for example "blog sale size 16" "blog sale vintage dresses") - you never know what you might find, and without the added commission you find on auction websites! Don't let your unwanted electronics end up as unnecessary landfill. For a quick check on CDs, DVDs and other tech, simply write the barcode or make and model and get a price instantly. With CDs and DVDs usually being marked down to under £10 instore and online these days, it's harder to sell items like this on selling/auction websites - so Music Magpie is probably your best bet! Websites such as MazumaMobile and Envirophone have a similar system to Music Magpie. Simply type in your make and mobile and you'll get an instant quote. The prices can fluctuate quite a bit so it's best to have a shop around these various websites to find the best deal. 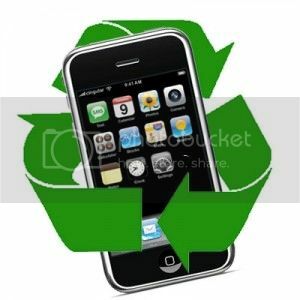 Alternatively, carriers such as O2 have a recycling programme which could be worth checking out. I find that Gumtree is your best bet if your phone or tech is damaged or broken as it can be sold on for parts or spares. Be sure that you list in your description very clearly of the condition. You'll be surprised how many people are willing to take it off your hands - when I was leaving Sydney I just wanted to get rid of my broken netbook and Blackberry simply for space in my backpack and ended up with $60 for the two which funded my flight to Melbourne. Score! Sometimes selling just isn't an option for some items - but don't throw them away! Charity shops (as we call them in the UK - 'thrift shops' elsewhere) are no longer fusty purgatories where sad one-peice-missing jigsaw puzzles and Sega Megadrive games go to rest. Instead many have cashed in on the vintage trend, and are happier than ever to find homes for your unwanted clothes, shoes and accessories. In fact several charity shops in Newcastle have beautifully dressed shop windows, and a special 'vintage' section at the back where prices are slightly higher than the rest of the store. Be sure to keep an eye out for charity shops which perhaps look a little lacklustre in stock, or by all means donate to the shop which supports your favourite charity. Does anyone else have a bunch of unused toiletries packed into a back cupboard somewhere? Perhaps they were a holiday or birthday present you keep forgetting to open. Instead of throwing them away, consider donating to the fantastic charity Give and Makeup, which sends donated toiletries and essentials to women's refuges all around the country. Accepting products either in brand new or lightly used (Give and Makeup suggests "If you would give it to a friend, we'll take it!") conditions. Travel and sample sizes (anything you didn't like in a GlossyBox? Bring it!) are also accepted. Check the website for local drop off points, as well as shipping addresses. Freecycle is exactly what it says on the tin - if you're willing to give something away for free, get it listed! Who knows, you may find something there for yourself while browsing! When all else fails, turn lemons into margaritas and throw a swap party! 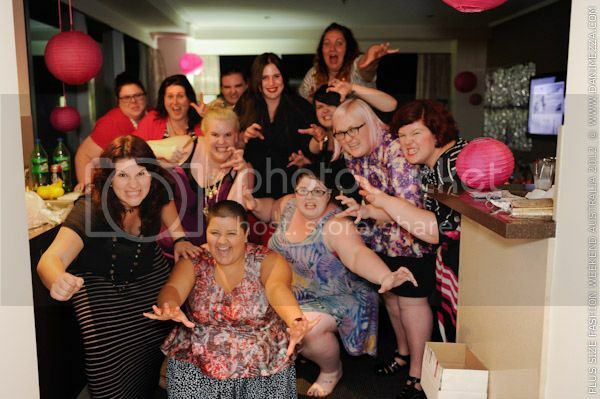 I thoroughly enjoyed the swap party at PSFWA and have wanted to host one myself - despite my friends being of different shapes and sizes, it really doesn't matter that much (hello, make it work?). Ask each guest to bring new or lightly used items (set a maximum of about ten items per person, not including shoes, accessories etc. ), arrange them in the room and let the elbow sharpening commence. Use the opportunity to try on things you ordinarily wouldn't, perhaps you'll find that you really do suits something after all. I hope this has been somewhat useful! How do you guys 'let go' of your old treasures to make room for new favourites? DISCLAIMER: Sponsored post. However all words and opinions are - as always - my own. You are very welcome to read my disclosure policy here. Thank you for mentioning charity shops! I think people neglect their local charity shop but it is a great way to gift away things that aren't worth selling.